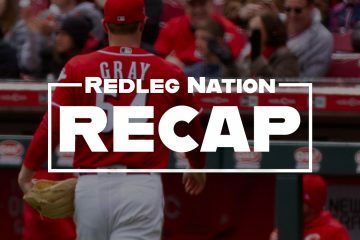 The Short Version: Billy Hamilton had another of his Billy Days, Eugenio Suarez homers again, Joey Votto drives in two runs, and the Reds salvage a game of the series in Pittsburgh. –Full confession: I was at my son’s baseball tournament all day today, so I didn’t watch the game. I did listen to a few innings. Hey, it’s Father’s Day, gimme a break. –It was Joey Votto’s 1500th big league game. He doubled twice, walked, and drove in two runs. Because he’s good. –Eugenio Suarez homered for the second straight game, a two-run shot in the fourth inning. Scott Schebler homered, walked, scored two runs and drove in three. Jose Peraza was 2 for 5. Curt Casali was 2 for 4, and he’s still hitting .421/.476/.684. –Anthony DeSclafani picked up his second win by allowing two runs — both solo homers — on three hits in five and two-third innings. He only threw 82 pitches, striking out four and walking just one. Someone who was watching will have to tell me why Reds manager Jim Riggleman removed him from the game, because that’s a pretty good line. –Okay, that’s all I know. I’ll need you fine folks to help fill in the gaps. I saw parts of the game, but not all. I didn’t see the 6th inning. I was hoping DeSclafani would get at least 6 innings in today. But 5 2/3 is a step beyond 5. He is becoming the de facto leader of the rotation. Guys are taking steps forward. I hope it isn’t temporary and it can be sustained. Schebler’s HR was a blast. Both of Votto’s doubles were sharp. Hughes and Iglesias not sharp today. Ump not giving Iglsias any love. The ump was calling a lot of strikes balls for Iggy today. Game should have been over sooner. I was watching, and I think he was removed to prevent him of turning a good game, into a bad one. AKA, Matt. Still not sure what happened with Peraza getting caught in that run down after the Votto double. He just stood there waiting to be chased down and then was tagged out. Bizarre play. Hatcher was not happy about Peraza missing the stop sign. Mostly questions with this team, but Schebler at leadoff might be an answer! I suggested they try Schebler at leadoff last year. He might become our Charlie Blackmon. His obp is over .400 for June and he gives them a shot to drive in some runs if guys get on at the bottom of the order. Nice to have Disco back! He doesn’t beat himself which is an issue with this pitching staff. As good as Garrett has been….he had 2 up and 2 down in the 7th but ended up nibbling and walking lefty Polanco who was hitting .200 coming into today. They scored twice and made it really scary. Disco throws strikes and makes opponents beat him! We badly need his leadership with this staff! Hamilton had another great game today. HeÃ¢â‚¬â„¢s a game changer, either at the field or at the bases. If only heÃ¢â‚¬â„¢d improve his OBP skills to at least .300 the team could live with it. Bullpen was not sharp today. A win is a win except what does it really matter with this team? On the other hand, Schebler is making things interesting in regard to his longer term status with the Reds. However if Votto and Gennett remain with the Reds, Having both Schebler and Winker also in the lineup might make it too LH at the plate even once Senzel is a fixture. But this could be one of those “good” problems as the old saying goes, Just another reason to get Senzel to Cincy and start dabbling with various mixes. Doesn’t really matter with Schebler. He hits lefties well. Schebler hit 136/200/284 in July of 2017 while playing through an injury. Good for a wRC+ of 20. In all other months since joining the Reds, in 2016, he has hit 264/334/487. Good for a wRC+ of 114. He is on pace for roughly 3 fWAR this season. The Reds have him under contract through the 2022 season. I don’t see why he isn’t considered a “core” player moving forward. Billy Hamilton having some decent games means he may have some trade value. Buster Olney wrote an interesting article on ESPN.com on how BH could be a game changer for the right team as a situational player who could make an impact in close games. His future isnÃ¢â‚¬â„¢t with this franchise which has a terminal case of Ã¢â‚¬Å“rebuild-itisÃ¢â‚¬Â. I’ve been talking about Billy to the Rockies on here since early last year. They lost 13-12 yesterday…surely he could’ve saved a run or two? Plus he hits well in Coors and loves to run in that huge outfield. At the same time…thats 2 wins in the last 6 games for the Reds that were almost 1 man shows by Billy. Nobody else can do what he does, but he just can’t do it often enough! If you substituted Senzel for Peraza then they could carry Billy batting 9th. He could get 350 atbats or so and also come in as pinch-runner and defensive replacement. In theory…if they ever had a good pitching staff and played more 4-3 and 3-2 type of games then he could become a big weapon off the bench. That theory would include Senzel or Suarez at SS though? I’d say Scooter to LF is more likely. Billy has to be the odd man out in that situation. Even if you go with the first scenario….are the Reds the kind of organization that can pay a guy $4.5 mil or whatever to bat 9th and pinch-run? Billy hit weil today, for a change. Odd? I think when Billy has a good day offensively, it is more indicative of bad pitching overall from the opposition than the fact that Billy had a “good day”. So the Reds have a good day offensively because Billy hits, or because overall the opposition pitching wasn’t good. and so Billy got some hits too? Bad days for Billy are often bad days for most of the rest of the lineup, too. A two-sided coin. DidnÃ¢â‚¬â„¢t tune in either and spent all day driving back from OBX – missed opportunity to enjoy a win although the late comeback would have been frustrating. Schebler is looking very good after a rough first month and even if itÃ¢â‚¬â„¢s lefty-centric the idea of Scott, Joey, Senzel, and Eugenio with the outside shot of Scooter still here sounds good to me for 2019! Winker will be a tougher fit in the order as a step slower than Scheb and another lefty. Detroit in town for two. ItÃ¢â‚¬â„¢ll be neat to see what Suarez will do to them. Hopefully I can get down to GABP this week and score a couple of cheap tickets. Better hurry…they might run out of tickets. ESPN suggests that Seattle and Cleveland are the two teams that could use Hamilton in a supersub late inning role late season. No NL teams can absorb his roster spot as a non-hitter but the AL can with the DH. Seattle has a nice CF right handed prospect at #4/5 in the minors and cleveland has a nice pitcher at #3 organizationally. This is from ESPN. I think the point for NL exclusion is most games you need a late inning bat or more off the bench…say down 4-3 in the 7 th and you need a double switch or pinch hit for the pitcher. Tied in the 8th….its more of a bench roster construction issue in the NL and hard to hide a no hit player. The AL rarely needs to pinch hit having the luxury of a DH. The Indians have Tyler Naquin at AAA in Columbus, and frankly I would rather have Tyler Naquin than Billy Hamilton. I don’t see Cleveland having any interest in Hamilton at all. Naquin is a better hitter, and just about as fast as Billy. And he can’t crack the Indians 25 man roster. Lol you’re not getting thst high of a prospect for Billy. Hamilton will not retrieve a #1 organizational pitcher or top prospect.but just below is reasonable. Braden Bishop for the Mariners is major league ready defensively in CF now by scouting reports and OPS is .804 in AA. He is set to be promoted to AAA and could be the Reds CF in 2019. He hits right handed. Bishop sounds interesting? Billy won’t bring anyone earth-shattering, but a decent RH outfielder would be nice. I think Schebler could play a decent CF as well. They could also use a lefty reliever. Surely they won’t leave Garrett in the pen? That’s a whole different topic though? Side note….Dilson Herrera 11-33 with 1 hr & 13 walks (.522 obp) in his last 10 games. What are their plans for this guy? You have Scooter and Suarez having career years and Votto is an obp machine, but yet they’re still only 18th in runs scored. Yeah, that’s about it. No plan for anything. Dilson should be up here soon. I think the Reds were waiting for the Billings season to start, and getting all the draftees signed. Then at the end of June, there may be some organizational moves. Players in motion at several levels. Waive Billy and Duvall. They will get nothing in a trade. If they are DFA’d, the Reds might get something in exchange for the team that signs them. If they are not signed, that is pretty indicative of their market value. Of course, the Reds management values them too highly. Time to move on. Bring up Dilson Herrera first. He has to be on the Reds 25 man roster after this season, or they lose him. He is out of options. Find out if he can play, and he might develop some value. And lastly, bring up Gabrielle Guerrero to play some CF, which he did at AA ball. He appears to be able to hit. Move Gennett to left field for now, unless some trade for him pops up. Schebler in CF, Winker in right. So what if they are all left handed? If Herrera and Senzel are up here, that will start to balance the lineup. Dixon can play some left field too, and he is right handed. Let’s get this rebuild moving!! The outfield you describe has little to do with rebuilding. Playing Winker does, but otherwise it’s not likely to be the unit out there when the Reds are good again, and its defense would make free-agent pitchers think many times before signing with the Reds. Maybe package Billy with Scooter. It would be run the risk of alienating fans, if there were any, but it might bring in a good prospect. I thought yesterday that we need a win bad well because I want us to win.In reality the only thing that is really important this year is to find out who can or who can’t.I like the fact that the young guys still are getting the ball every 5th day but we also need to do that with Bob and Amir and Lorenzen in my opinion so I fear we won’t know as much as we need to know entering 2019.Same can be said with the position players because we continue to play guys who aren’t producing who have had 2 years or more and a bunch of at bats to get it done while others aren’t given the a chance at all.Its almost blasphemy for me to say we would be better off as a franchise to lose every game just to see if the front office would go all in on this rebuild and stop this I think we can I think we can mentality.Its also sad that we have two guys in Senzel and Herrera who are ready to play in the big leagues or at least be given a chance but they happen to play the same spot as Suarez and Scooter and nothing is being looked at to change that on a team that is destined to lose 100 games.This front office is just bizarre in how they think.Hard to believe in them when they give you nothing but crumbs to eat when there is a whole loaf that could be offered.Disco is a welcome addition right now because he can pitch,Barring a set back injury wise he will become what we thought he was.Billy with his one good game out of ten which always gives us hope because that’s all we have. Agreed that Stephenson, Garrett, and Lorenzen need extended looks this year. The Reds need more data on in house candidates before the offseason. Guessing only Stephenson gets starts though. Why Winker wasn’t in the lineup vs. a rhp is beyond me. Duvall stunk up the joint again. The Reds seriously need to consider a DFA. Free Jesse! Schebler’s OPS has quietly crept into the mid .800s. Wow! Call me crazy, but Iglesias scares me in close/late situations. Dude gets way too cute mixing his pitches. We need to trade him for a CF or a starting pitcher. All these off days are messing with Riggleman’s ability to find playing time for guys like Blandino and Dixon. On the bright side, that means the regulars are healthy. Yankees are where its at for Iglesias imo! Righty outfielder Clint Frazier has a .947 ops at AAA and nowhere to play. I was looking at his numbers and also ran across Brandon Drury. I thought he was just a utility guy type, but 32 HRs in 985 career atbats for Arizona (.766 ops) and he’s only 25. He’s absolutely destroying AAA pitching with a .360 average. I’m pretty sure he played some outfield w/the Dbacks, but I might be thinking of Owings? Subtract Billy/Jose and add some right-handed thump and this is easily a top 10 offense in runs scored! Trades have to be a match of needs. The Yankees have a deep bullpen already, remember Aroldis Chapman? You think the Rockies would be interested in Billy Hamilton even though they already have the best all-around CF in baseball. It’s not that those teams would be completely uninterested, they just aren’t desperate enough. Reds will be lucky to get anything for Hamilton. Iglesias has to be a huge haul or no deal. muchachos desagradables…..that’s Nasty Boys in Spanish. Dibble wasn’t by himself you know? Andrew Miller wasn’t the Indians closer. Depth is good! Ending the game after 5 innings is good! Once again…Charlie Blackmon isn’t exactly speed racer. They don’t have 1 other good corner OFer let alone 2? Move him to a corner and save some wear-n-tear on his legs. They need his bat! As I said, those players help, but neither of those is the kind of desperate situation that’s best to exploit. No team is going to trade for Billy Hamilton with the actual plan of playing him every day. He’s a bench player to use as a pinch runner and defensive help. Again, a few teams might need that, but they aren’t going to pay much for a player they would never want to see a batter’s box. Best fit is AL team where they don’t need as many pinch hitters. Maybe you’ve heard of Aroldis Chapman, Dellin Betances and David Robertson? That’s the back end of the Yankees pen. The fourth guy in the Yankees bullpen, Chad Green, has better numbers than Iglesias, is younger and much cheaper. I think Hamilton could possibly retrieve a solid high minors prospect. Throw in jared hughes or hernandez if thats what it takes. Or for that matter, trade a package of hamilton and Gennett to get that top 3 organizational pitcher.. In the era of the superteam….teams will be inclined to go for it…knowing they can’t stand pat and let the Astros or mega teams just win by attrition. The reds should be open minded and bold and creative to improve the talent pool in the high minors. Schebler’s OPS is .823. Bryce Harper’s is .834. Christian Yelich is at .847, although playing mostly in left field. With Robles and Soto, I think that Washington would be nuts to pay Harper $400 million, or anything close to it. I get that Harper is only 25, but he’s only had 2 of 7 seasons where he’s had an OPS of over .855, and in one of those he only played 111 games. $35+ million/year for Harper over the next 4 years, or 2-3 years of minimum salary, plus early arbitration, for Soto and Robles? Is that really a hard decision? I’d use the Harper budget for Scherzer, instead. Statcast figures have Bryce Harper as the 48th fastest of 55 MLB rightfielders, topping out at 26.5 ft/sect, only a hair faster than Winker’s 26.4. Jay Bruce is slowest, at 25.4, putting him about mid-pack for catchers. So you’re saying he is not Mike Trout and might be a little over hyped? Scott is going to be hard to get out of the lineup and lets hope Winker starts hitting with a little more power so he will be hard to get out of the lineup.The platoon should be Billy and Duvall period. That catch by Hamilton has to be in his top-5 defensive plays, maybe top-3. It was that good. Who are the best suitors as trade candidates for Iglesias? Houston, Atlanta, Philly, LAA, LAD, and Colorado? AL team. With DH they don’t need as many pinch hitters. No contending team is going to make Hamilton their starting CF. He’ll be a super bench player wherever he goes (if anywhere). To a team that values a pinch runner and defensive specialist in CF in late innings. And no one is going to pay much for that. Not Hamilton, but Iglesias trade suitors. The trade market could be full of relievers and closers. Just some closers that probably will be available. Baltimore has Zach Britton, $12M this year and a free agent after the year, and Brad Brach $5.2M and free agent. CWS have Joakim Soria, $9M and a free agent. KC has Kelvin Herrera, $8M and free agent. Texas has Keone Kela, $1.2M and 3 years of arbitration. Oakland has Blake Treinen, $1.2M and 2 years of arbitration. SD has Brad Hand, $4.1M = ’18, $7.1M = ’19, $7.6M = ’20, and an option and $1M buyout in ’21. That doesn’t count the plethora of set up men and middle relievers. It won’t be as robust of a market for Iglesias as many think it will be. Iglesias has $5.2M in ’18, $5.7M in ’19 and ’20. But he can opt out and go to arbitration. The team control can help his value and can hurt his value if a team is only looking for a rental and not longer term. I agree with you about trading Iglesias, only for a great haul. But that great haul might not materialize at this trade deadline. However, pairing Hamilton with Iglesias in a package might help, but it also might narrow that market even more. Iglesias is a great guy, and a valuable pitcher, but he is, once again, over-rated by the fans and the organization. There may be a team out there who wants him, but unknown just how much they will give up. He’s good, but just not that good. The time to trade him was last winter, after he had a great year. This year he has not been quite as bullet proof. We will be disappointed with the haul if he’s traded, but that’s life. 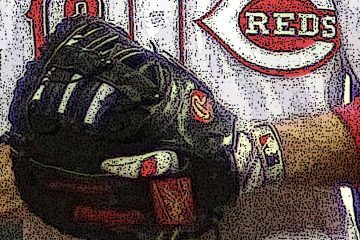 Iglesias is the Reds best pitcher easily – no contest. The Reds are underutilizing him, especially because the team falls behind early and doesn’t hit consistently. In that case he is best used early in games along a plan to play max innings for his arm whether that is 120 or 150 innings. It is only because the Reds don’t exploit all his potential they are better off trading him for pieces they are willing to use and max out to full usage. Boston, Sea, Min, Clv, Stl, Was. According to Fangraphs, the teams that currently have a 25% or better chance of making the playoffs (therefore who’d I consider as likely buyers at the trade deadline) are: Astros, Yankees, Red Sox, Indians, Mariners, Cubs, Nationals, Dodgers, Brewers, Cardinals, Braves and Diamondbacks. By most measures the Astros and Yankees have the best bullpens in either league and probably won’t pay enough for Iglesias. The Red Sox, Brewers, Cubs and Mariners also have top-10 bullpens and are unlikely to meet the Reds price. The Nationals, Dodgers, Diamondbacks and Braves have middle-of-the-pack bullpens and may look to improve their rosters in that area. If there is any chance of getting Robles from the Nationals I would jump on that. Would also strongly look at the pitching prospect depth of the Braves. The Cardinals and the Indians, though, have had 2 of the worst bullpens in the game and may be desperate enough to pay big for Iglesias. Hamilton’s defensive play was truly spectacular. And almost as rare as him getting three hits in a game. It was! He can be incredible which is normally what bad teams need….incredibly talented players. Whatever their front office does this summer is going to either give them a chance pretty quickly or destroy the next 3 years. Iggy, Scooter, Disco, Dilson Herrera….they have some chips to trade and they obviously have holes to fill! This is another one I keep repeating like a parrot but I’d love to have Nick Castellanos from Detroit! 3 bombs in the new Comiskey in their last series. Detroit’s park contains him but he’d hit 30+ easily with the Reds and probably .300 too! He’s starting to demand some decent $ and maybe they’re on the cheap? I’d give them whatever prospects they want. My issue is how much the Reds media hypes these plays. It added virtually nothing to the win probability added as there was no one on base, yet you would think it saved the game or something. Meanwhile, Votto clears the bases with his double and……………..nothing. You want to believe the organization doesn’t have the attention span of a laser pointer teasing a cat, yet here we are. No one knows what would have happened if that ball hadn’t been caught. What happens on average means little for particular plays. It might have saved the game. We can’t know. Hamilton had a marvelous game, but Sultan makes a very significant point regarding Hamilton’s contributions during the game. Hamilton’s spectaculat defensive play on Cervelli’s drive to the warning track in the 1st inning decreased the Pirate’s win probability just 1%. If Hamilton fails to record an out on the play, the win probablity increases just about 1% on a single or just about 2% on a double. Hamilton’s single with Casali on 1B and 1 out in the 2nd inning decresed the Pirates win probability by 4% and ultimately resulted in 2 runs after Schebler drove in Casali with an infield ground out to 2B and Peraza drove in Hamilton with a single to RF. Hamilton’s ability to get a hit or get on base was the difference, not his speed on the bases. Hamilton’s leadoff single in the 4th inning decreased the Pirates win probability by 2% and his SB decreased the Pirate’s win probablitiy by an additional 1%. Votto’s double to the RCF wall with no outs and the bases loaded drove in 2 runs with Hamilton scoring one of those runs. Hamilton’s ability to get a hit or get on base was the difference, not his speed on the bases. Hamilton’s infield out on a fielder’s choice with 2 outs in the 6th inning increased the Pirate’s win probablitiy by 1%. Hamilton’s leadoff single to CF in the 8th inning decreased the Pirate’s win probablitiy by 2%. His stolen base with no outs decreased the Pirate’s win probability by 2%. Hamilton scored on Schebler’s HR. Hamilton’s ability to get a hit or get on base was the difference, not his speed on the bases. Hamilton’s total net contribution from his marvelous game boiled down to his ability to get a hit or get on base. His defense and speed on the bases contributed nothing to the Reds victory. There are games where ihis speed and defense in CF and/or his speed on the bases make a positive contribution to a Reds victory, but despite the excitement created by his speed and defense in CF and his speed on the bases, those instances are few and far between. Hamilton’s ability to get a hit or get on base is simply more impactful (or more hindering if not performed) than the excitement created by his speed. The bottom line, even after his marvelous game, is an OBP=.285, an OPS=.566 and a -0.1 WAR in 239 PA this season and an OBP=.297 and an OPS =.626 for his career. Along the same line of reasoning, Duvall’s 0-4 performance that included 2-SO and a foul out to 1B contributed 4.7% to the Pirate’s win probability and he had no defensive contribution. Duvall’s ability to mash pitcher mistakes and make very good defensive plays in LF are exciting plays, but the bottom line is an OBP=.270, an OPS=.656 and a 1.0 WAR in 241 PA this season and an OBP=.292 abd an OPS=.759 for his career. Perhaps on average (MLB avg), Billy’s catch only increased win probability by 1%….but that’s based on MLB avg consideration. I get that that is a good baseline, but for the Reds, it might have in deed had a greater impact…given the Reds starters seemingly inability to get through 5 innings, its impact may have been greater. I’m not sure I follow your reasoning. Are you saying that defensive outs are more important to the Reds than other teams because their starting pitchers do not complete 5 innings? Every team in the NL averages more than 5.0 IP per start and all teams except 1 team (Nats) average less than 5.2 IP per start. The Reds are certainly the lowest, averaging less than 5.1 IP per start but six of the 15 teams in the NL average less than 5.1 IP per start. What the Reds have lacked is an experienced starting pitcher who will routinely pitch a solid game every time out to anchor the rotation, but Disco looks like he’s ready to fill that role and show the young starters how it’s done. I think that the point is that, had BH not made the catch, it can’t be known what would have ensued. You can’t assume that subsequent hitters would have done the same as they did. For that matter, how many hits and walks contribute nothing to run production? I expect that it could easily be 50% or more, but couldn’t get the answer with some desultory googling. Specifically for the Reds, with their very shaky starting pitching, a hit can very easily lead to a big inning for the other team. Balanced by that is, of course, the obvious weak spots in the Reds’ lineup. More run production–more consistent ability to drive in men on base–would help. But you have to have a balance. Atrocious defensive teams don’t cut it, nor do atrocious offensive teams, so proposals to put whoever in center or at short because the bat plays and the glove really doesn’t matter much miss an important point: Rotten defense leads to rotten pitching. For all of the Reds’ woes, can anyone say that the starting pitching isn’t the biggest woe? Just wondering, without doing the math myself, is, what are these win probability statistics for the Reds, given the Reds poor starting rotation. I am surprised that the Reds SP is not that below avg when it comes to the number of innings they pitch (sounds like about 1 out shy of avg. ), so that’s probably not the right metric. Note the Reds are in the bottom third in various related situations…1st inning ERA, two outs runner in scoring position.